The human body is made of several trillions of cells each of which contains nucleus with chromosomes, while each chromosome contains deoxyribonucleic acid or DNA. The latter is made up of segments of genes which determine an individual’s unique traits. Every person has thousands of genes which, however, do not just determine your eye colour for instance but they often play an important role in your overall health too. As a result, the genetic research plays an important role in detection, prevention and/or treatment of diseases which are caused by genetic abnormalities and mutations. Genetic research is a complicated thing. The scientists understand how the genes function and how they affect human health, however, the diseases that are triggered by genetic factors do not always function “by the rule“ except for a few disorders which are directly caused by genetic abnormalities and mutations such as Marfan syndrome (genetic disorder of the connective tissue resulting in abnormal height and limb length), Huntington disease (neurodegenerative disorder), Niemann-Pick disease (metabolic disorder), Roberts syndrome (very rare prenatal retardation), Lesch-Nyhan syndrome (rare genetic mutation causing build-up of uric acid in bodily fluids) and many others. 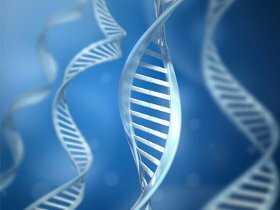 People with certain genes are at increased risk of conditions associated with those particular genes. In other words, you are more likely to be affected by diseases which are inheritable and conditions that run in your family although they are not directly inherited. And the list of conditions that can be influenced by genetic factors is virtually countless. Genetic research helps identify diseases and health problems that are more likely to be influenced by genetic factors as well as to assess the risk of a particular disease in an individual. These researches are known as genetic tests. When a genetic test confirms a high risk of certain condition, an expert in the field determines preventive measures to reduce the risk of that particular disease. 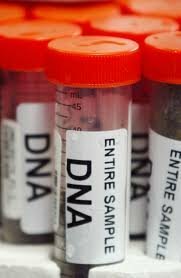 Genetic testing is very reliable, however, it cannot tell you for sure whether you will develop a particular disease or not. Some people who are at increased risk of a particular medical condition will never develop it, while some without any risk factors will be affected by the very same disease. Carrying a particular gene does not automatically mean that you will be affected by the disease associated with that gene because most heath problems are caused by a combination of several factors rather than just the genetics. Nevertheless, people with a positive genetic test are usually recommended preventive measures which sometimes include invasive procedures such as surgery for instance. The risks and benefits of particular preventive measures after a positive genetic test should be always consulted with an expert. In addition to testing for particular conditions, genetic research also involves development of treatments for health problems caused by genetic abnormalities and mutations either by medications or genetic modification. Most genetic disorders cannot be cured, however, many people have restored their health and avoided potentially life-threatening diseases thanks to genetic research.